The Dominy family’s Long Island workshop, on display at Winterthur, is the most complete example of an 18th/19th century American cabinet and chair maker’s shop. That corner of the second floor at Winterthur’s museum gallery building is mecca for period furniture makers. As helpful as the exhibit, Charles Hummel’s With Hammer in Hand, first published in 1968, documents the collection of tools and furniture from the shop. In comprehensive catalog format, each object is depicted and briefly described. I have found this book very useful as a reference tool. On the used market, this out-of-print book currently goes for around $90. Though not as lushly photographed as modern exhibition books, the book’s utility is worth its weight in gold. If you couldn’t or didn’t purchase a copy yet, don’t fret. Recently, the entire book was digitized and added to the University of Wisconsin’s Digital Library for the Decorative Arts and Material Culture. All of the book’s content is downloadable and the pictures can even be viewed larger than in the printed book. I highly recommend you look through this book. 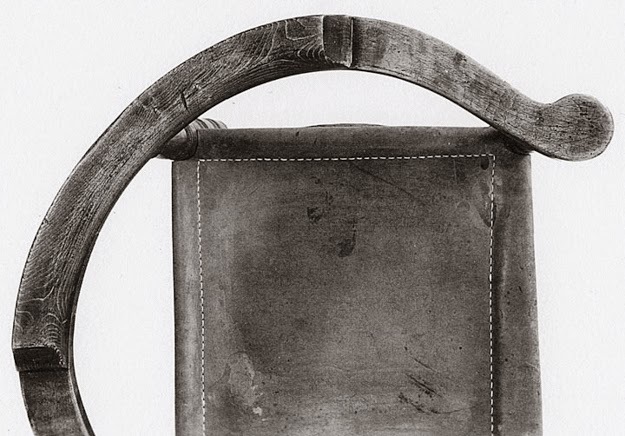 There are few tool collections as valuable to our understanding of period furniture makers. Without further ado here’s … With Hammer in Hand. Wow. Talk about a rabbit hole... that is a great resource. Thanks Josh! I was able to buy the book from Patrick Leach. I am just getting to the chapters on the furniture. This is an incredible book on early woodworking. How do you download it? I have not been able to figure out how. I downloaded each page individually by right clicking and "save as" (PC). Do they offer this anywhere in PDF, epub, etc... so it can be loaded onto a tablet/ebook device for reading? Bummer... cool content but what an annoying format! This is wonderful, especially the images of the chairs. Will be a good source of inspiration, thanks for sharing! Thank you, what a treasure trove, good reading for a frigid snowy day. A totally annoying format in which to digitize a book. If fact, so annoying that I personally don't find it worth downloading. One would think that the University of Wisconsin’s library is aware of how people actually prefer to read things these days.